The 2019 Chevrolet Traverse is in high demand as more and more people set their sights on a midsize SUV. What makes the Traverse such a good choice? It has the performance you can depend on, features that make it versatile, and the kinds of safety systems you won’t take for granted. If you’re interested in a new Chevrolet Traverse, this model overview will brief you on the key features you should be aware of when shopping. Let us know if you still have questions after reading. What Makes the 2019 Traverse Worth It? The Traverse is equipped with a 3.6L V6 engine that makes 310 horsepower and 266 lb.-ft. of torque. That engine is mated to an efficient 9-speed automatic transmission that delivers seamless shifting and remarkable fuel economy. Intelligent stop/start technology further improves fuel efficiency, and this powertrain is capable of towing up to 5,000 pounds. For enhanced traversal, you’ll want to look at the Traverse High Country for its twin-clutch all-wheel drive. Selectable drive modes include 4×4/Snow, Off-Road, and Tow/Haul. With the proper equipment, you can be prepared for any situation. This model offers seating for 8 people and features Smart Slide® second-row seats for easy access to all rows. With the seats folded down, you also have 98.2 cu. ft. of cargo space to work with — compare that to the 81.7 cu. ft. offered in the Ford Explorer or the 83.2 cu. ft. in a Toyota Highlander. There are storage compartments spread throughout the cabin, including hidden storage under the floor in the way back. Access is even easier when you opt for the available hands-free gesture liftgate. But Chevrolet also thinks outside the box and includes features that work when you aren’t even driving. Rear Seat Reminder will keep track of which doors have been opened and remind you to check the back seat under certain conditions to make sure you aren’t forgetting anything. There’s also Teen Driver technology that you can use to implement parental controls and monitor your teen’s performance. Good safety is as much about thinking ahead as it is about reacting in the moment. 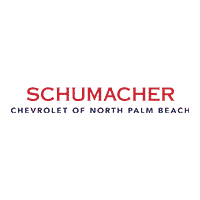 If you want to get a closer look at the or take a test drive, visit Schumacher Chevrolet. We’ll help you find the car you want in our inventory of Chevy cars for sale in Lake Park, Florida. Members of our sales team look forward to serving you.